DALLAS (SMU) – After yesterday’s practice, senior McKenzie Adams didn’t feel great about her shot. She stayed around after practice, making 150 shots before leaving the gym. It led to the best game of her Mustang career on Friday. Adams posted a career-high 38 points, the third-highest point total in program history, to lead SMU past Nicholls, 68-61. The Frisco, Texas, native tied the school record by hitting 16 of her 18 attempts at the free-throw line. 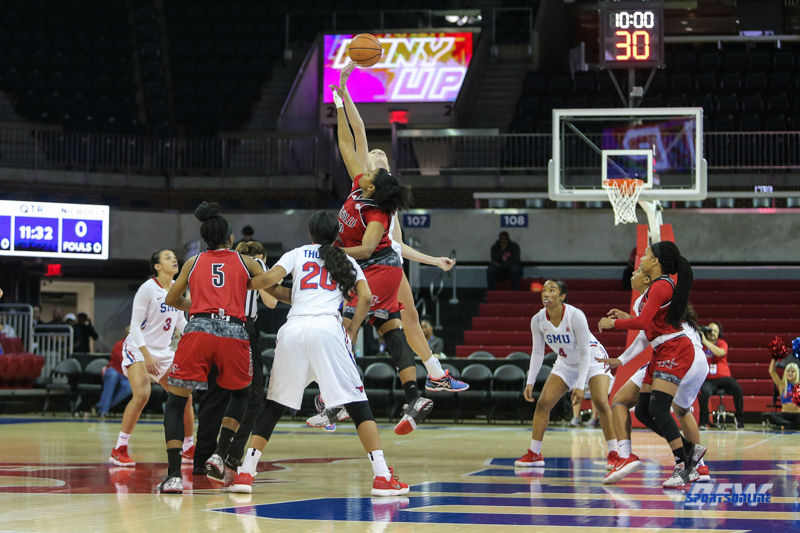 The Mustangs stormed back from an eight-point deficit in the second half, due in large part to stifling Nicholls in the second half. SMU held the Colonels to just 24 second-half points and under 16 percent from the floor. Nicholls managed just six second half field goals. That defense turned into energy on the offensive end, and the Mustangs were able to erase the deficit by the end of the third quarter. Junior Dai’ja Thomas was extremely active under the goal for SMU, grabbing a career-high 14 rebounds to lead the team. Career-high was a theme for the game for several Mustangs. Senior Mikayla Reese dished out a career-high six assists to lead the Mustangs in that category. Playing in the first game of her collegiate career, Ariana Whitfield was the Mustangs second-leading scorer with eight points. With the win, Mays is now a perfect 2-0 in season openers as a head coach. The Mustangs are back at Moody Coliseum on Tuesday, hosting Metroplex rival TCU at 7 p.m.